A fine day’s ride with friends Jesse and Gary up Mt Lemmon north of Tucson. 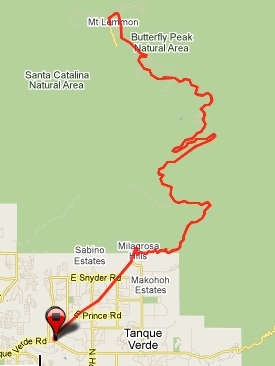 This is a nationally recognized ride of some noted difficulty, featuring a 21 mile steady climb to the top. It is not particularly steep, averaging around 4 or 5%, but its relentless slope and shear length are challenging enough for many pro riders. I’d always wanted to try this ride and really enjoyed it. A detailed post and something like 50 pictures can be reviewed if you click the link below. 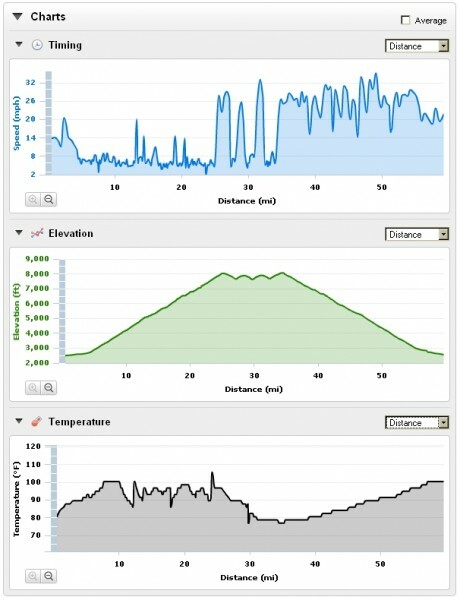 After the ride, Jesse sent me some really cool stats from his Garmin computer. 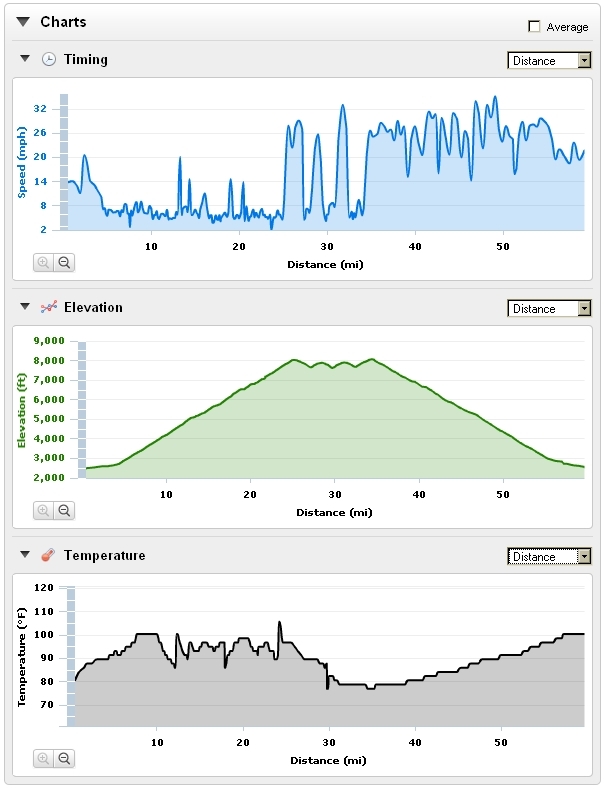 Map of the ride is recorded, along with stuff like speed, altitude, temperature, etc. NR14: Salmon Lake S. P.